The use of solar energy in India is not a recent phenomenon. It has, however, been a sporadic development, existing only in a few selected locations. 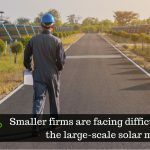 In a country afflicted by continual energy scarcity with the demand-supply gap widening persistently, solar energy requires a steady gain in momentum. Our electricity sector greatly relies upon coal and other non-renewable sources of energy. (Almost 53% of our energy needs are met with coal. And if we go by predictions, coal reserves will not last beyond 2050.) Electricity consumption, with economic development and an enormous growth of population, has been escalating at a rapid rate. India’s energy sufficiency seems waning at an alarming rate. The brooding question is how can this be prevented? Solar energy is the alleviating answer, by the virtue of being the best form of energy to bridge the energy demand-supply gap. Solar energy is sustainable, environment-friendly, and cost-effective. This statement, although a cliché now, is an eternal truth as well. And our country can reap benefits by leaps and bounds by harnessing this renewable source of energy. India with its tropical climate receives sunlight almost throughout the year. By proper leveraging of solar energy, not only we can fulfil our own, but the whole world’s energy requirement. And this is just an understatement! India is a developing country with a bulging population, and energy deficiency. Power generation at cheaper rates is consequently, the first concern of the populace. 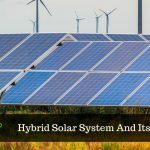 Solar systems, although expensive initially but immensely cost-effective in the long run, are a good riddance from the monthly electricity bills and regular costs of other sources of energy. Unemployment is one of the concerns impeding our progress. And solar sector would take time to spread over comprehensively on India’s energy spectrum. So, when the people become ready to lend helping hands, not only the long-cherished dream of a clean and energy self-sufficient India, but also a source of employment to its people, would come true. Although convinced of the enormous potential that solar energy has in India, there still are challenges lying on the path to go solar. Biggest among these is the challenge of capital necessary to develop the solar infrastructure. Also, a major part of India’s rural sphere has no electricity, while in others prolonged power cut is very common. The shortage of non-renewable energy along with proper infrastructure are some of its causes. In such a scenario, we need renewable energy such as solar energy to be integrated to the country’s existing power system and infrastructure. Doesn’t that sound challenging? Energy prices are on a steep rise while the supply is finding itself incapable to keep up the pace. Going Solar, despite challenges initially, is the best path to tread upon for a brighter India. 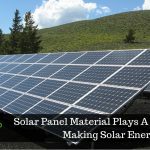 SaveGeo is a turnkey solar EPC solutions provider based in India, offers best services for asset owners who wish to clinch on solar energy solutions. Taking Rooftop solution activities into serious consideration, you can transform your rooftop into a solar power plant which is an excellent source of solar energy, for both residential and commercial sectors.